At least two people were hurt by gunfire Sunday as suspected paramilitaries targeted anti-government demonstrators in Nicaragua's capital. Unidentified gunmen wounded one of the demonstrators in the arm in one part of the capital, while a second was hurt while protesting elsewhere. 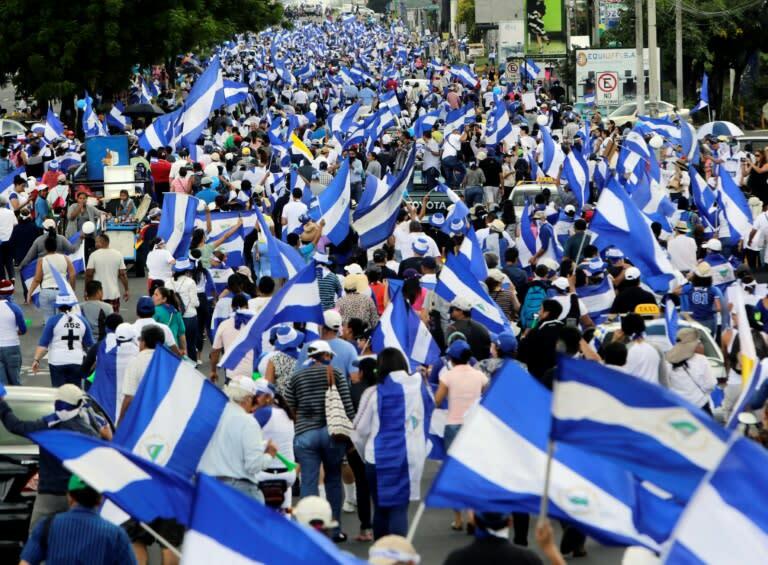 The flare-up in violence followed President Daniel Ortega's order Friday that a UN human rights mission leave the country. It had published a report criticizing the "climate of fear." Rights groups say more than 300 people have died in the Central American nation in more than four months of violent anti-government unrest. Sunday, scores of police and military rushed into the protest areas. Many demonstrators dropped to the ground or desperately sought cover, even scrambling up trees.